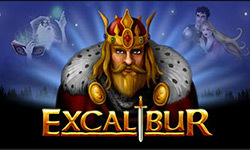 Excalibur is a slot that won't surprise you in any way. With its five reels and three rows, the game has a standard layout. It makes use of a scatter, a wild, and you can win free spins. So, what makes this slot different from other slots? Definitely not the animations. The standard symbols range from the ten to the Ace and the animations do all have to do with the overall theme, but that's it. The slot has a couple of fun animations that either directly or indirectly have to do with Arthur's knights. It is the free spins and the golden wild that make this game so interesting. 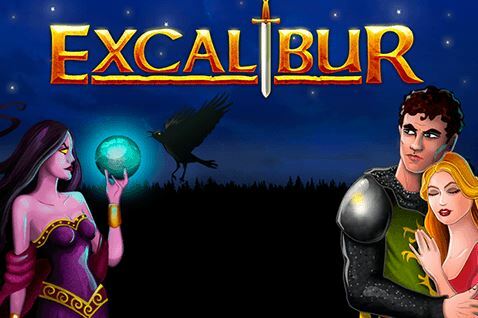 Travel back in time to the middle ages and discover Excalibur by Net Entertainment. The entire slot revolves around the middle ages and knights. Also, you will encounter Merlin. It is a pretty standard slot with five reels and three rows, the animations are entertaining, but seem a bit outdated. 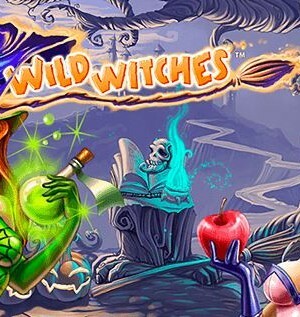 Still, it is a very adventurous slot with a search for the gold wild and the free spins leading to even more free spins. With a maximum potential win of 120,000 coins, this game is definitely one that could lead to huge monetary gain for those who want to bet on King Arthur’s sword. 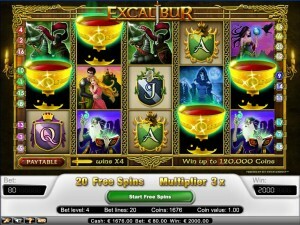 Excalibur is a slot that won’t surprise you in any way. With its five reels and three rows, the game has a standard layout. 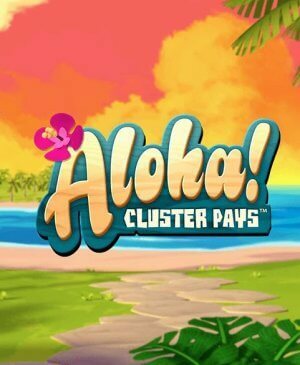 It makes use of a scatter, a wild, and you can win free spins. So, what makes this slot different from other slots? Definitely not the animations. The standard symbols range from the ten to the Ace and the animations do all have to do with the overall theme, but that’s it. The slot has a couple of fun animations that either directly or indirectly have to do with Arthur’s knights. It is the free spins and the golden wild that make this game so interesting. In order to reach free spins, you will need the golden cup at least three times. Namely, this cup functions as the scatter. If you only have two golden cups on your playing grid, you will still get a reward, just not free spins. When you do reach free spins, you will receive 12 of them with a decent multiplier of 3x. A good way of approaching the maximum potential win of 120,000 coins, especially when you also get a golden wild. This golden Excalibur doesn’t come around too often, but it will bring forth a 4x multiplier when it’s part of a winning combination. So, this golden wild is a fun way of bumping up your wins. With only 20 pay lines, your chances of winning aren’t especially good. However, with the multiple different wilds -especially the golden wild with the 4x multiplier- you’re gonna be okay. Other than that, everything is standard. There are no reasons why this slot would be very popular, other your chances of winning on this thing. The slot does not have moving animations, there is no bonus game; the only thing you can do is win. 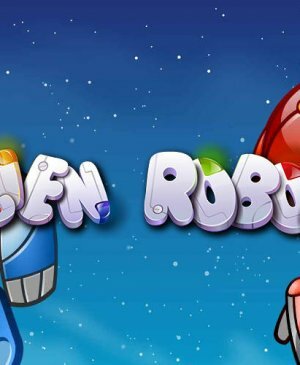 If you’re only in it for the money, this game might be perfect for you. In that case, it’s good to know that you can alter your coin value on the right from the spin button. On the left of the spin button, you can alter the number of coins per pay line. If you want bigger wins, you will have to take bigger risks. The slot also offers a feature that makes spinning more comfortable: the autoplay function. This function will allow you to sit back, relax, and just watch the game. And don’t worry about free spins, as you can set the autoplay to turn itself off automatically once you reach these free spins.